Vehicle crime may be in decline in the UK, but there are still around 100,000 cars stolen every year. Increasingly sophisticated security systems make it all but impossible for thieves to take a car by brute force, so the theft of keys is the most common way to steal a car now. Sadly, only around half of all the cars stolen in the UK are ever recovered. Many stolen cars are worth more in parts than as a whole, so be careful when buying spares over the internet. Cars that are stolen and then sold on complete are usually advertised at lower than average prices because thieves will make massive profits no matter how much they sell the car for, so beware any car with a price that seems too good to be true. The most stolen vehicle on Britain’s roads is not a car, but the Ford Transit van due to the huge industry in supplying cheap replacement parts to unsuspecting, genuine owners. However, we’ll concentrate on passenger cars here, so this is the list of the top 10 cars pinched in the UK and why. The Vauxhall Astra is one of the most popular cars in the UK, regularly appearing near the top of new car sales charts, so it’s no surprise it should be the most stolen car in the country. 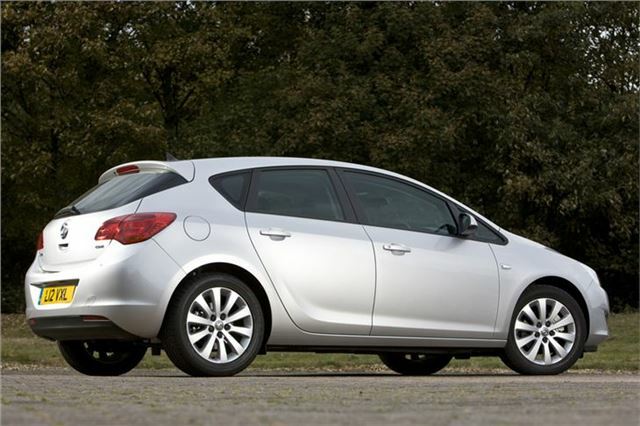 Its very popularity is what makes the Astra so appealing to thieves as there is a ready queue of unwitting buyers for secondhand and replacement parts for their own cars. It’s also much easier to sell a car when it has been broken into a pile of parts rather than a whole vehicle as most smaller parts will not be marked with a traceable identification number. The internet also makes it very easy for organised gangs of thieves to sell on parts from stolen cars anonymously.